Two Brett beers back to back? 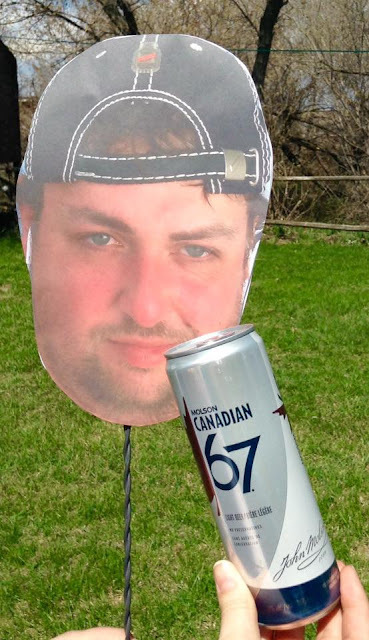 That's not common here at BeerCrank.ca! Today's review is Surly Brewing's Pentagram American Wild Ale. 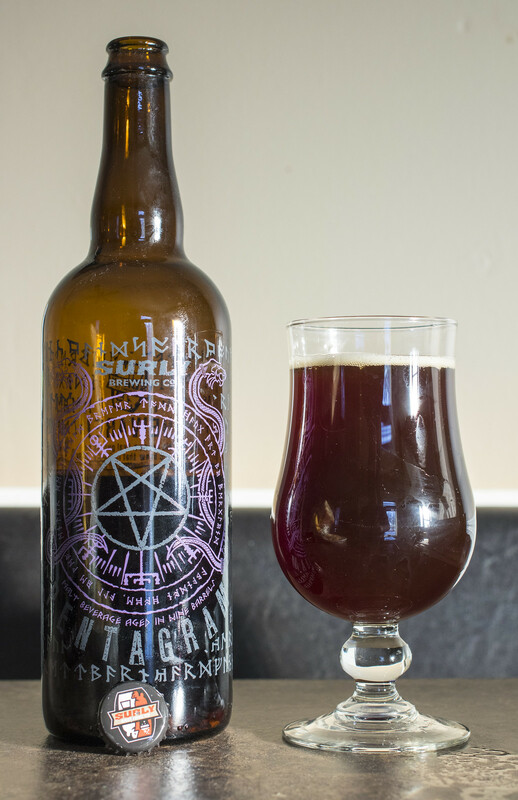 Pentagram is a Brett dark beer fermented in stainless and aged in used red wine barrels. Notes of sour cherry, tobacco, oak and Brett barnyard funkiness are to be expected. 6.66% ABV. Thanks to Andrew over at The Pour House in Minot for this beer! Appearance: Dark tobacco brown body with a light amount of yellow beige head on top. Light amount of carbonation. Aroma: Moderate notes of Brett popping up - a light barnyard funkiness, light sourness. Notes of lemon, chocolate, molasses, oak and a hint of red wine. 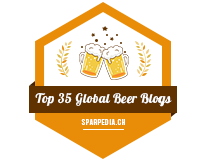 Taste: Sourness of red wine and Brett pops up in every single sip. There's notes of sour cherries, vinegar, a moderate amount of funkiness, oak, vanilla, a hint of non-oak woodiness, and a dark fruitiness. The mouthfeel is dry and it leaves behind a big presence of sourness for the aftertaste. Overall Thoughts: The red wine barrels and the Brett yeast compliment each other to give this a heavy sour flavour to it. Pretty heavy for being 6.66% but this is pretty much a sip and savour beer as it's leaving a bit of throat burn if I drink it like a normal beer. There's a hefty sour aftertaste that lingers for a long time after the beer is done, which I'm not usually seeing in most Brett beers.